AUGUST 02, 2017 (DETROIT) – JACK Entertainment LLC is excited to announce that it has received the Silver Romero Award in recognition of the company’s marketing and technology leadership for its development of the Greektown Casino-Hotel Mobile App. The casino received the award at the 2017 Casino Marketing & Technology Conference in Las Vegas on July 20. 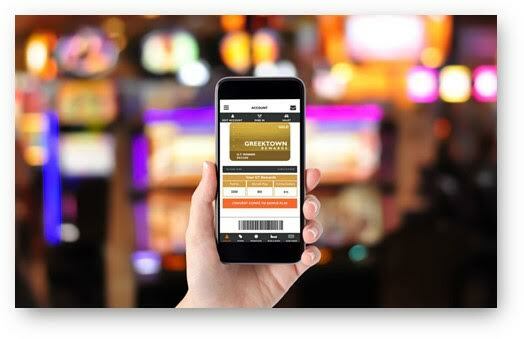 The Greektown Casino-Hotel Mobile App offers unmatched convenience, allowing guests to use a smartphone for loyalty program transactions at the property. Guests can scan their Virtual Player’s Card™ at table games, promotional kiosks, the GT Rewards® desk and the parking garage. They also can use it to pay for meals with comps at any casino food and beverage venue. In addition to serving as a Virtual Player’s Card, the mobile app allows guests to view promotions and account information, receive special mobile offers, request vehicles from valet, and locate slot machines on the gaming floor. The Romero Awards, named after casino marketing pioneer and author, John Romero, recognize excellence in casino marketing across a broad range of casino classes and marketing categories. The Greektown Casino-Hotel Mobile App was selected in the electronic marketing category for large casinos from 120 entries. Entries were judged by an esteemed group of marketing professionals with over 125 years of combined experience in the field. JACK Entertainment partnered with JOINGO, the leading provider of mobile engagement solutions for the casino gaming industry, to develop the unique mobile app. The Greektown Casino-Hotel Mobile App is free to download through the App Store for iPhones and the Google Play store for Android smartphones. JACK Entertainment LLC is a Detroit-based urban gaming company focused on the development of gaming facilities that are designed to maximize connectivity and economic impact in the communities where we are located. JACK Entertainment LLC and its affiliates’ (“JACK Entertainment”) portfolio of properties includes more than 13,000 gaming positions, 400,000 square feet of gaming space, 400 hotel rooms, and 35 bars and restaurants. JACK Entertainment is comprised of approximately 7,000 team members across four states and generates more than $1.4 billion in revenues. JACK Entertainment opened Ohio’s first casino in Cleveland in May 2012 and opened Ohio’s fourth and final commercial casino in Cincinnati in March 2013. In April 2013, JACK Entertainment opened one of Ohio’s seven racinos at its Cleveland-area thoroughbred racetrack, Thistledown Racino. Additionally, in April 2013, JACK Entertainment acquired downtown Detroit’s Greektown Casino-Hotel. JACK Entertainment also owns northern Kentucky’s historic thoroughbred racetrack, Turfway Park, and is a partner in Horseshoe Casino Baltimore, located in the heart of the stadium district in downtown Baltimore.